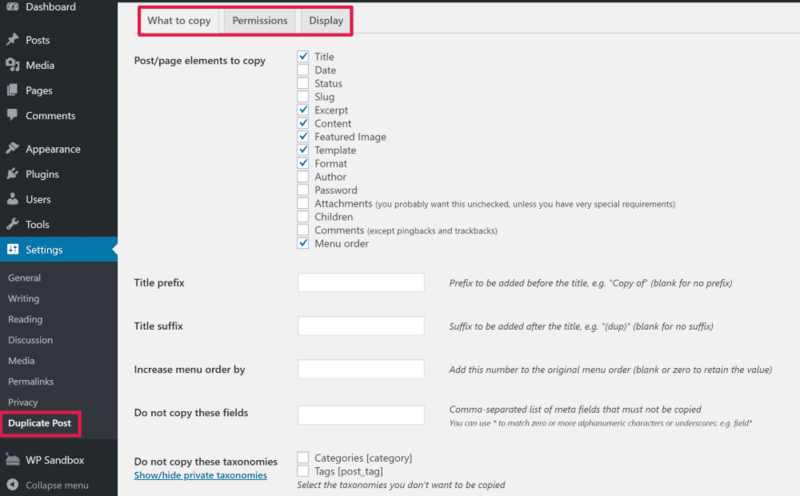 Need to duplicate a WordPress page or post? In this tutorial, you’ll learn how to duplicate a WordPress page, post, or custom post type with just a few clicks. In fact, duplicating a WordPress page is almost as simple as importing a post or page from Google Docs to WordPress with Wordable – it’s that easy! In this post, you’ll first learn how to use two free WordPress plugins to duplicate a page or post. Then, you’ll also find out how you can add your own code snippet to get similar functionality without the need to install a new plugin. Let’s dive right in so that you can get to duplicating! The easiest way to duplicate a page is with a free WordPress plugin called Duplicate Page (quite a creative name, right?). And that’s all there is to it! You’ll be able to work with the cloned page just as if you’d created it from scratch. Which users have the ability to duplicate posts or pages. What status to assign to the duplicated copy. For example, you can automatically publish the duplicate page. Whether or not to append some text to the end of the duplicated copy to help differentiate it. For example, you could add “- Duplicate Version” after the title of a duplicated post. As an alternative to the WordPress Duplicate Page plugin above, there’s also another popular free plugin called Duplicate Post (another creatively named plugin, right?). 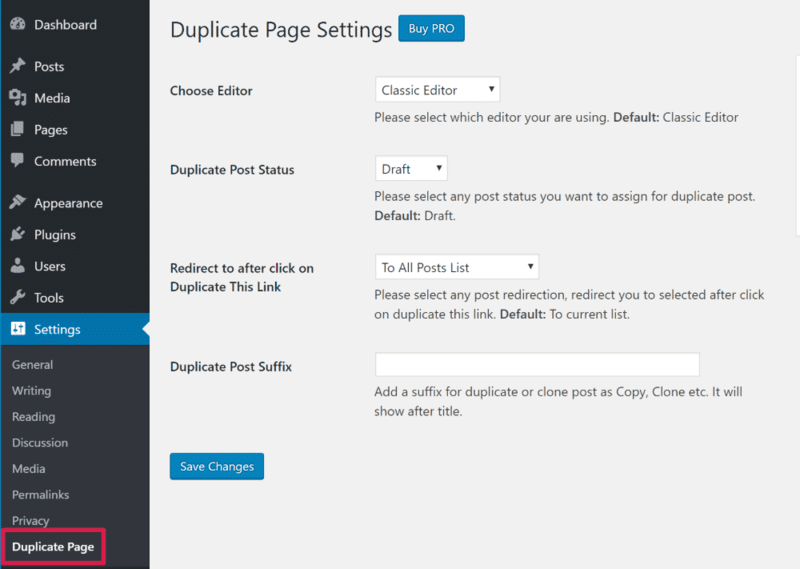 Like the WordPress Duplicate Page plugin, this plugin also lets you clone both posts and pages. However, where this plugin goes a little further is that it also lets you clone pages or posts in bulk. So if you need that bulk functionality, that might be a reason to go with this plugin. Once you’ve activated the plugin, go to the Posts or Pages area in your WordPress dashboard and find the piece of content that you want to duplicate. Clone – will create a draft copy of the post and keep you in the same list view. New Draft – will create a copy of the post and open it in the WordPress editor so that you can start working with it right away. So if you want to get to work on your duplicated page right away, you can click on New Draft to save yourself a click. Otherwise, there’s not much difference. Which content elements to copy. For example, you can choose whether or not to copy the published date or duplicate the post attachments. Whether or not to prepend or append content to the duplicate copy – like automatically adding ” – Duplicate Copy” to the end of a cloned post’s title. Which user roles can use the duplicate page functionality. 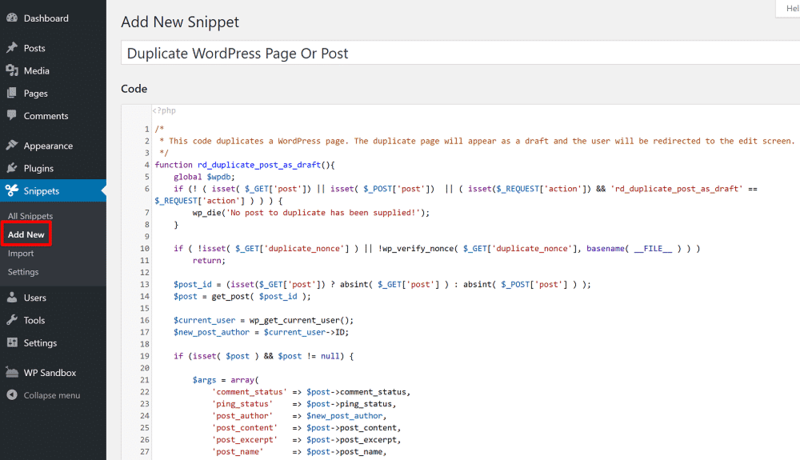 Finally, you can also get your hands dirty and use your own code to duplicate pages or posts. There’s no real advantage to using this route, as both of the plugins above are already pretty lightweight by themselves. However, if you want the leanest, meanest way to duplicate a page and/or you don’t want to worry about maintaining yet another plugin, this method works totally fine. Add it to your child theme’s functions.php file (make sure you use a child theme. If you don’t, your code will disappear the next time that you update your theme). Use a plugin like Code Snippets, which most people find to be a more convenient way to manage code. Using this plugin also ensures that you won’t lose your duplicate page functionality if you ever switch WordPress themes in the future. You won’t have the more detailed settings options that the plugins offer, but the core duplicate content functionality will work just fine. Whether you use a plugin or your own code, all the methods in this post will let you duplicate any WordPress post or page with just a single click. The two plugins are both easy to set up and let you start duplicating content right away. But if you want to keep things more lightweight and avoid installing a new plugin, you can always use your own code snippet instead. Finally, if you like the ease of being able to move your content with a single click, then Wordable might just be your new best friend. 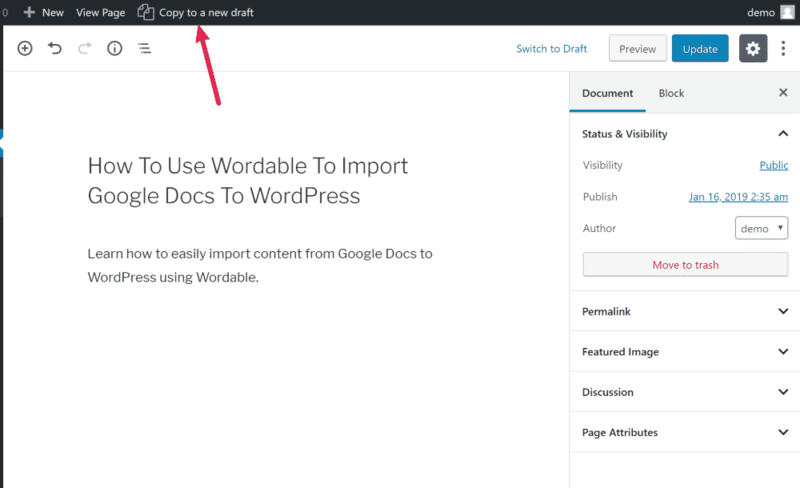 It lets you import content from Google Docs to WordPress with the click of a button. Then, once you get your Google Docs content into WordPress, you can duplicate it as many times as needed with the methods in this tutorial.